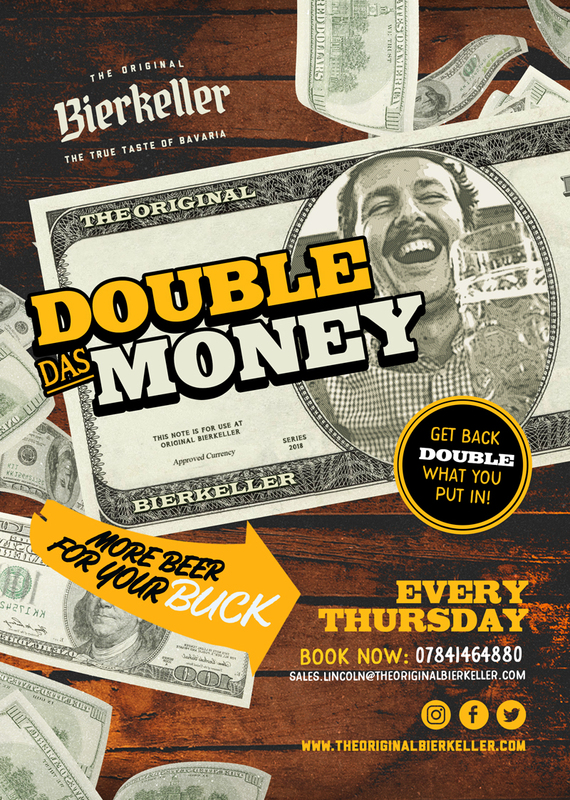 Every Thursday is Double Das Money all night long! Thats right, just hand over your cash and we will double it in Bierkeller Dollars. Plus its FREE ENTRY! Vouchers are valid every week! Don’t loose them and you don’t have to spend them all in one night!